Interested parties are kindly requested to refer to all clarifications provided by PPA, in relation to the “Repair of Floating Dock PIRAEUS II”. Please be informed that regarding the above mentioned tender, an extension for the submission of offers has been granted, i.e. until 8th May 2019, Wednesday, 15:30 Greek time. Please visit regularly PPA SA website in order to be promptly informed about the above mentioned tender. 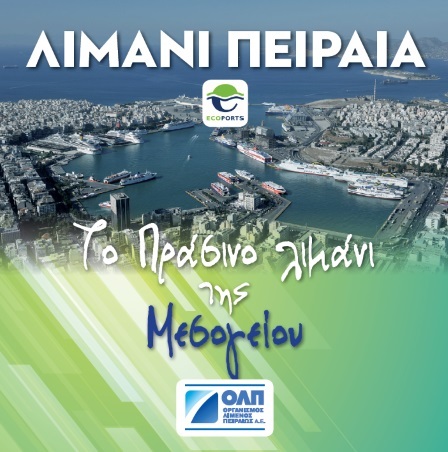 Piraeus Port Authority S.A. is interested in proceeding with the award of services regarding the Energy Audit and Development of Energy Management System of PPA SA. Interested parties are invited to submit their offers until 14th May 2019 and until 15:30 Greek time. Please visit regularly PPA SA website in order to be promptly informed about the above mentioned tender. Piraeus Port Authority S.A. is interested in concluding a contract for the annual Rental and management of twenty (20) chemical toilets, in accordance with the attached technical specifications and invitation’s terms. Interested parties are invited to submit their offers until 2nd May 2019 and until 15:30 Greek time. Please visit regularly PPA SA website in order to be promptly informed about the above mentioned tender. Interested parties are kindly requested to refer to all clarifications published until 10th April 2019 provided by PPA, in relation to the “Call for Tender for the procurement of Ro-Ro Yard Management Software”, in accordance with the attached technical specifications. Please visit regularly PPA SA website in order to be promptly informed about the above mentioned tender. Tender regarding the provision of Security Services in implementation of the ISPS code. Piraeus Port Authority S.A. is interested in proceeding with the award of security services in implementation of the ISPS code according to the terms of the tender. Interested parties are invited to submit their offers until Wednesday 10th April 2019 and until 15:30 Greek time. Please visit regularly PPA SA website in order to be promptly informed about the above mentioned tender.